Nelson Flag & Display Offers Much More than just Flags! 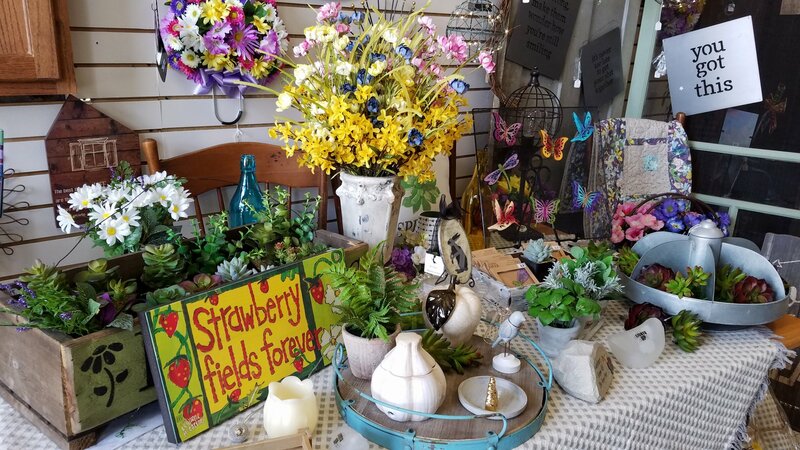 Family owned and operated at 2501 South Avenue, one mile south of downtown La Crosse, Nelson Flag and Display is a one-of-kind specialty store that offers something for everyone! We offer a large selection of flags, gifts, accessories, jewelry, home decor, seasonal decorations and much more..
All our flags are proudly Made in the USA! See our "Flags & Poles" page for more information on national, state, and specialty flags as well as the flag and pole sizes available. Our flag pole kits even include a telescopic flag pole, and our specialty flags include decorative flags, Green Bay Packers, Cubs, and more! Still want more shopping options? Check out our quilting products at our sister store, River Road Quilt Shop, by visiting the "Quilt Shop" page. 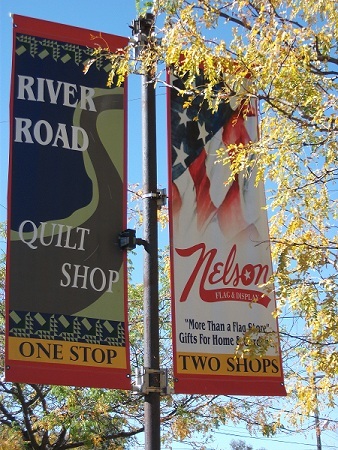 Nelson's has been proudly serving the flag, gift, quilt, Christmas decoration, jewelry, scarf and other needs of Onalaska, La Crosse, Sparta, Tomah, Holmen, West Salem, and surrounding western Wisconsin communities since 1966. See our "Gifts & Accessories" page for a more complete list of our home decor, accessories and decorations. Seeing is Believing! So come in and see our huge selection! The Best Selection of Gift Items in the Area! Nelson Flag Offers much more than flags! A family owned La Crosse tradition since 1966. Our flags are proudly made not only in the USA, but right here in Wisconsin. Check out our other Wisconsin products! Candles made in Appleton and earrings made in Madison!